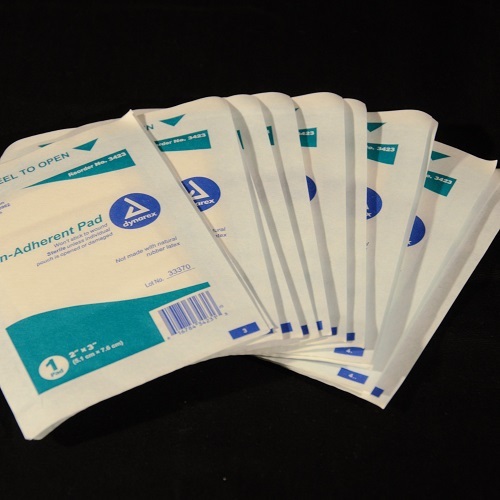 Sterile 2″ x 2″ gauze pad 10 ct. Great for cleaning wounds and stopping bleeding on small lacerations or abrasions. 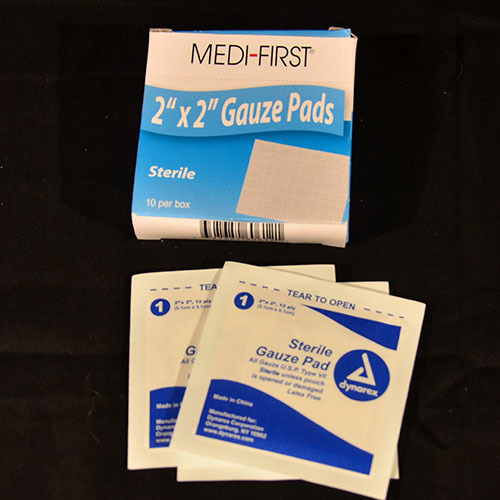 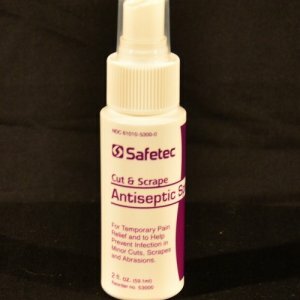 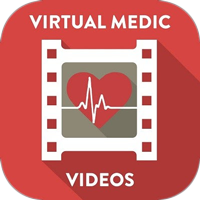 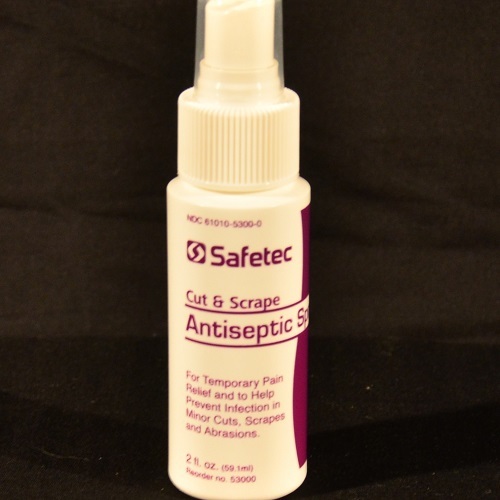 Remember to place a non-adherent pad under the gauze pads in order to prevent the gauze from sticking to the wound. 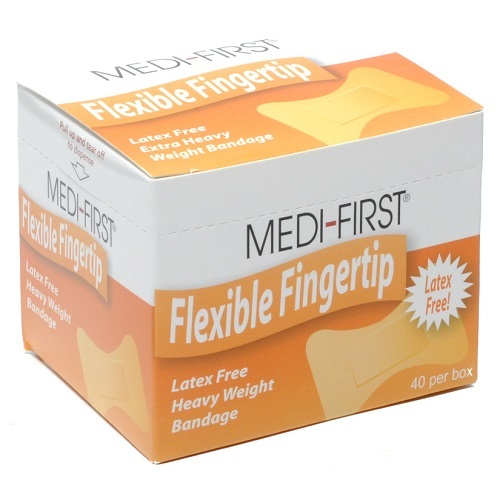 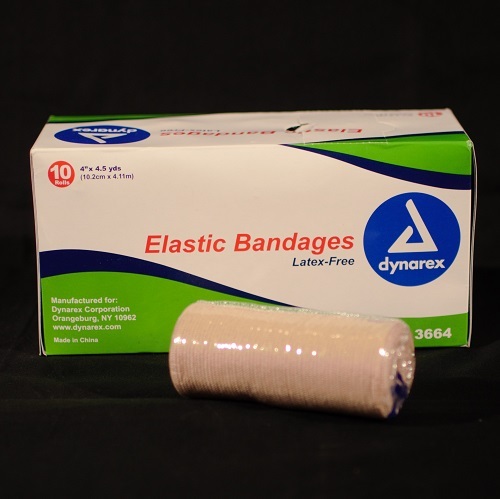 Fabric Fingertip Bandage 40 ct.